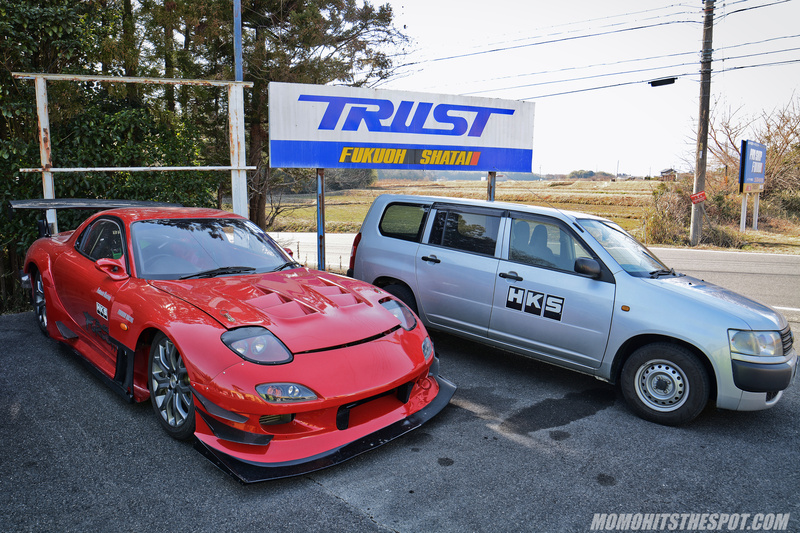 MoMo Visits Pro Shop Fukuoh – MoMoHitsTheSpot! 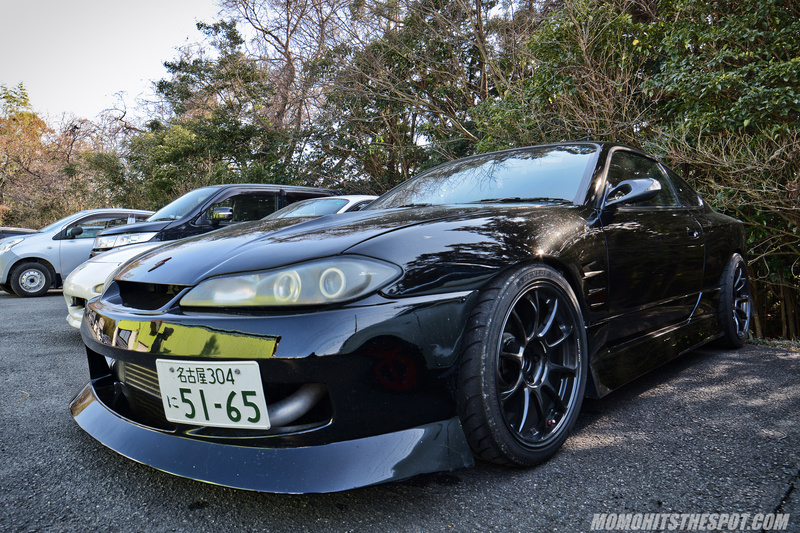 Attack Tsukuba was the catalyst for my last visit to Japan but like with all my trips to Japan, shop visits also holds a great deal of importance. On my previous two visits, I’ve limited my checklist to shops surrounding the greater Tokyo area, but as I’ve grown accustomed to the Japanese public transportation system, I’ve decided to expand my horizons to other parts of Japan. 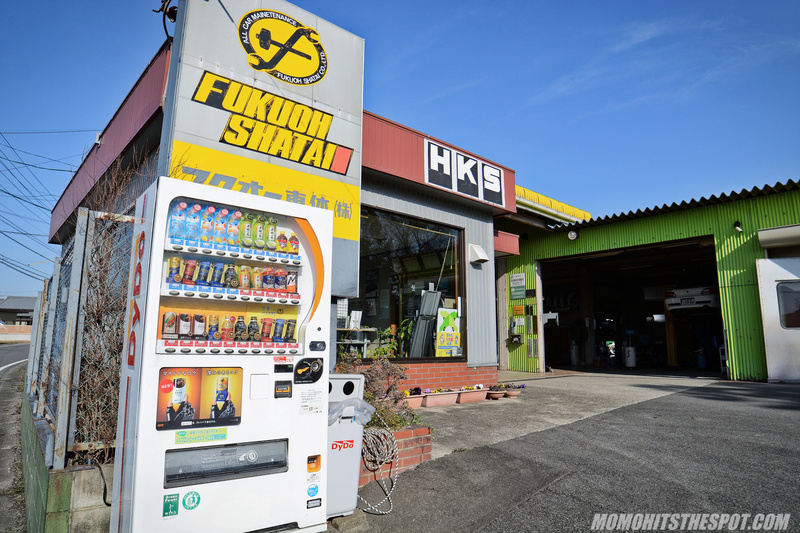 My second shop visit on my last trip was to a little shop in the outskirts of Yokkaichi, Mie Prefecture, just south west of Nagoya called Pro Shop Fukuoh. 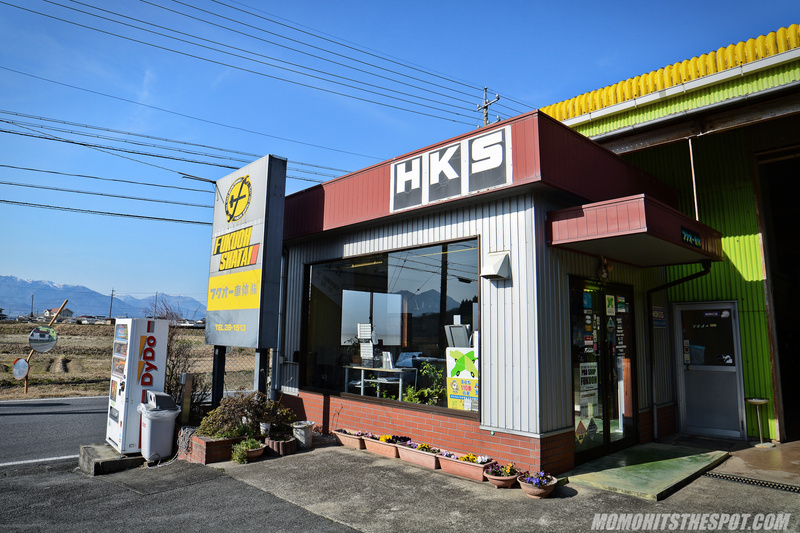 I’ve been to quite a few tuning shops the past couple of years but none was harder to reach than Pro Shop Fukuoh. The nearest train station to the shop was Hobo, which was still a 15 minutes walk and the station itself continues to take manual tickets because it has not updated to the IC Card/Pasmo readers. Nevertheless, I was not gonna let the remote location stop me from visiting. 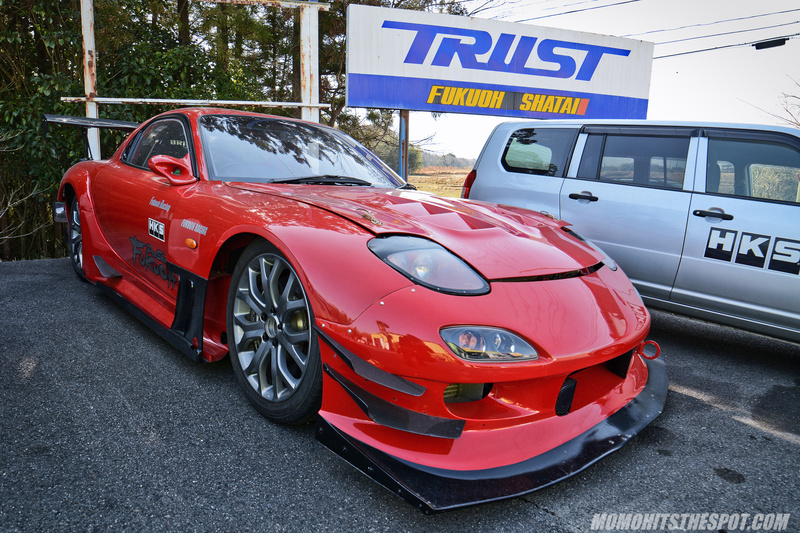 The main reason I wanted to come to Fukuoh was to check out their RX7 demo, but it was still down during my visit and was not in its racing form. 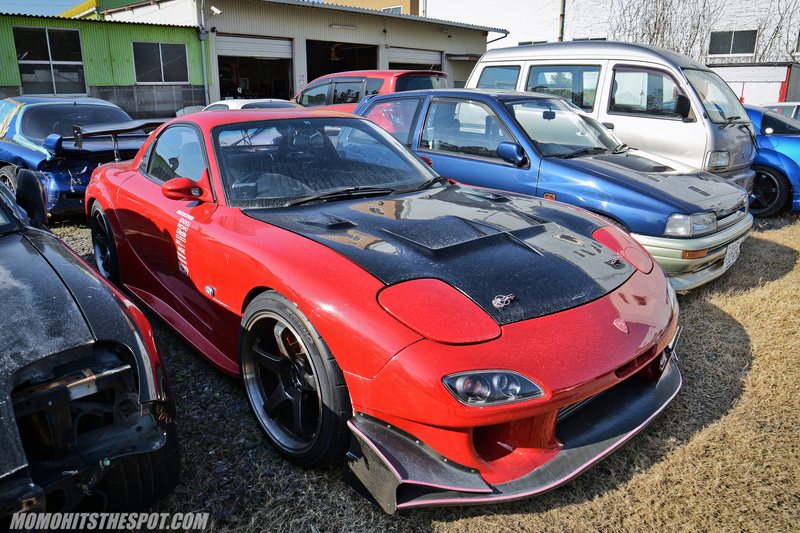 At its tip-top form, the Fukuoh RX7 is probably my top five favorite RX7 FDs of all time. 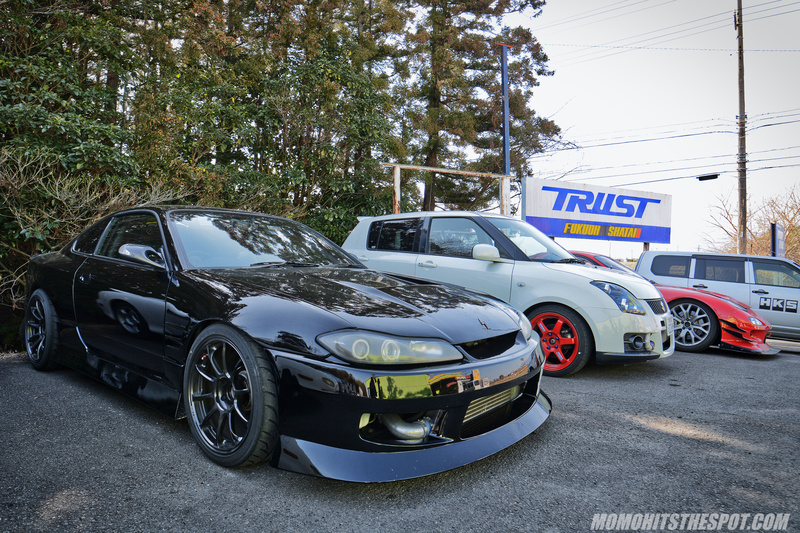 A gorgeous S15 and a Suzuki Swift was sitting pretty next to the RX7. The Swift seems to be a pretty popular platform for circuit racing in Japan but it’s not really my cup of tea. 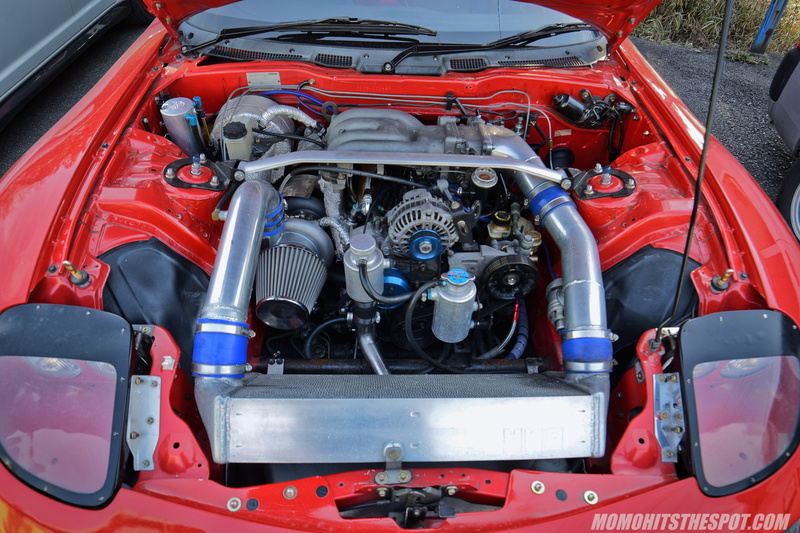 Even though rotaries are their strong suit, Fukuoh like many other specialty shops are also competent in many platforms. 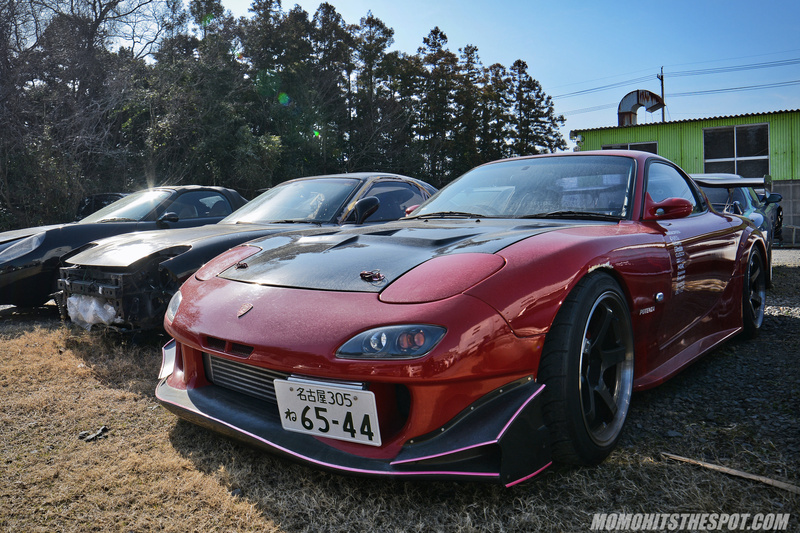 RE Amemiya RX7 in the back lot. 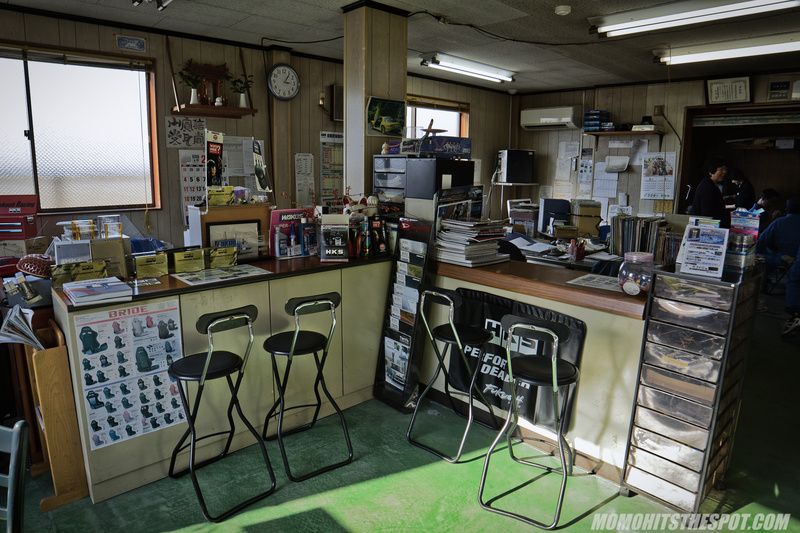 Tuning shops in Japan seems to always have this familiar “cookie cutter” interior to them… meaning they all look pretty similar. 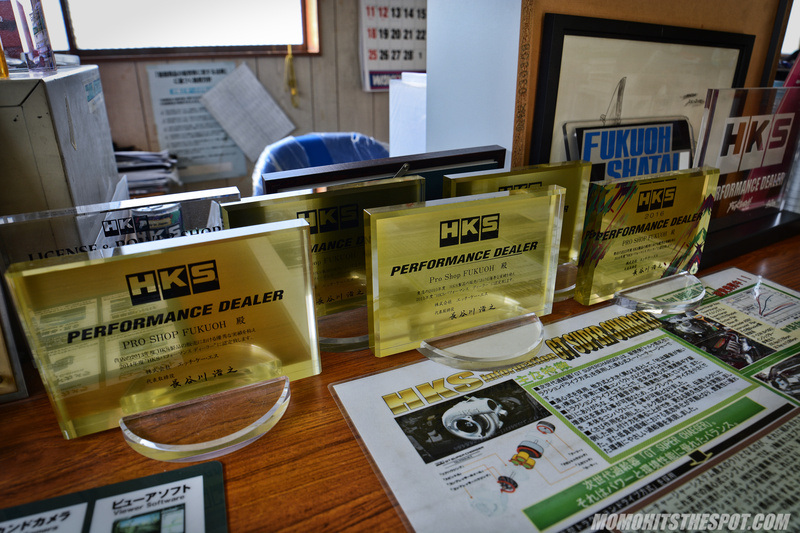 Of course, many are proud HKS dealers, and Pro Shop Fukuoh is no different. 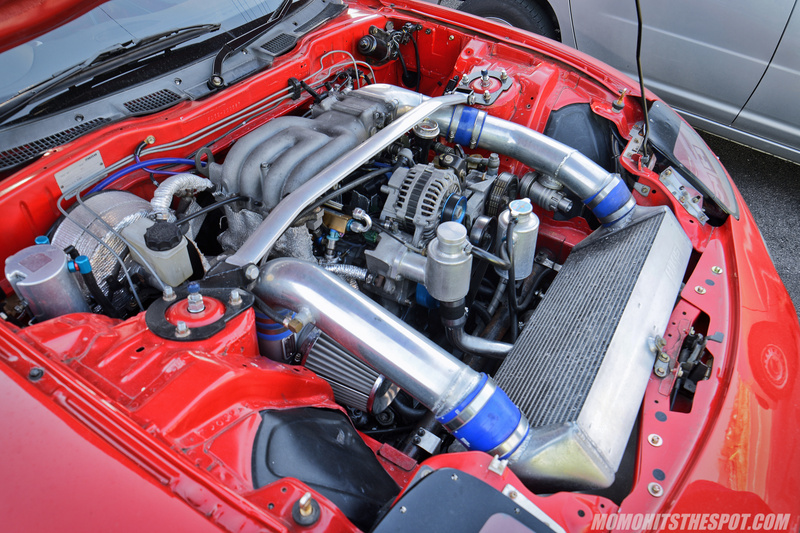 Towards the end of my visit, Tani-san popped the hood of the demo so I could get some shots of the 600HP power plant. He was telling me that the car would be ready to compete this season, so we’ll see how it does. A couple more shots to close out this relatively short visit, because I had another stop planned for the day. But the main reason I wanted to stop here at Fukuoh was to shed some light on these small shops in Japan to the enthusiasts back here in the States. 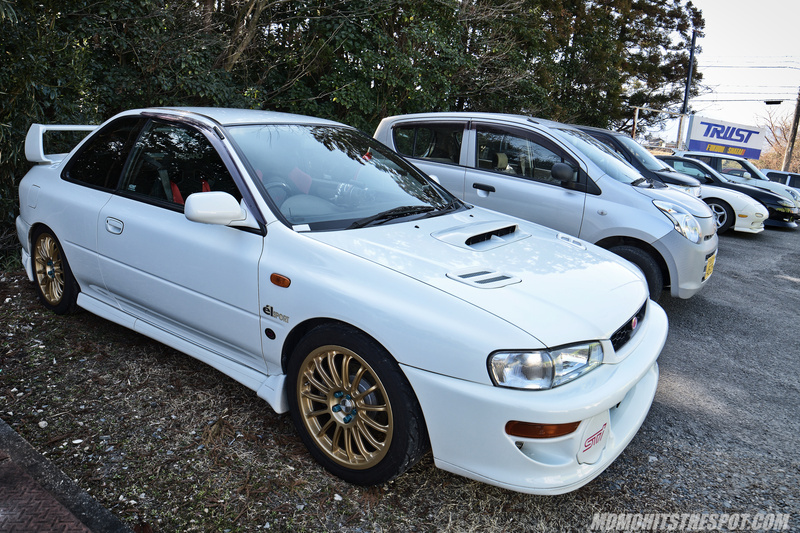 Most car enthusiasts only know of the big names like Type One, ASM, RE Amemiya, etc, and these small shops don’t get enough credit and attention that they deserve… but I’m gonna change all that one stop at a time. So, stay tuned for more! 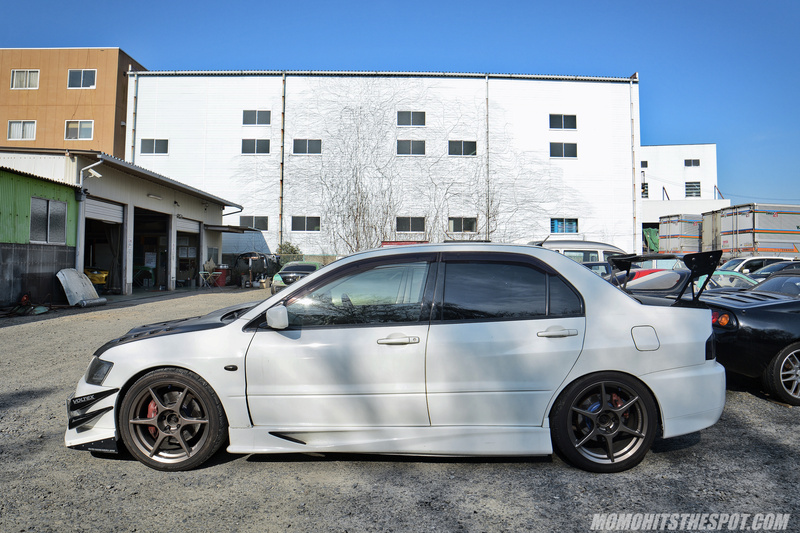 Pingback: MoMo Hits Up Mie Prefecture Powerhouse: ESPRIT – MoMoHitsTheSpot! Pingback: MoMo Stops By ARVOU – MoMoHitsTheSpot!